The Greater Fort Erie area has a rich and colorful history that can be traced back over 12,500 years. 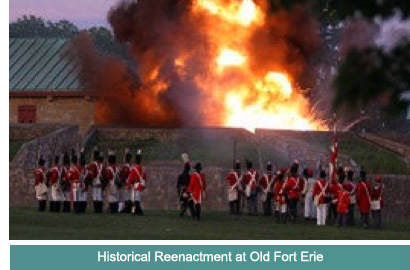 Fort Erie, the local site of the War of 1812, is one of the most significant historic landmarks in the area. Fort Erie saw considerable action in the War of 1812 including the capture of two American ships, the 'Ohio' and the 'Somers'. Fort Erie plays an integral role in presenting Canada's history to visitors from around the world in its capacity as a museum, living history site and memorial park. Phone 905-871-0540 for more information. The "Old Fort" offers a taste of life during the War of 1812. Battle reenactments take place during the summer drawing thousands of visitors and participants to Old Fort Erie and the Ridgeway Battlefield Site. Black history is an important part of the Town's history. The Niagara Frontier was a main route used by fugitive slaves fleeing to Canada. Fort Erie's border location across from Buffalo made the Town an important station on the Underground Railroad. A few prominent members of the black community settled in this region including Josiah Henson, immortalized in Harriet Beecher Stowe's classic novel Uncle Tom's Cabin. W.E.B DuBois initiated the Niagara Movement here laying the foundation for the NAACP. There were three main areas settled by black immigrants: Little Africa, Bertie Hill and Snake Hill. Discover Caribbean rated sandy beaches, the cool, clear waters of Lake Erie, wonderful dining options and watersport opportunities galore...all in Crystal Beach, Ontario. 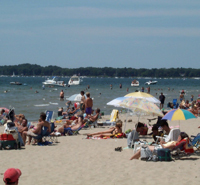 Crystal Beach has long been one of Fort Erie's favorite tourist attractions, drawing thousands throughout the summer months from across Niagara, Western New York and as far as the Greater Toronto Area - as more and more discover Crystal Beach's charms. Come for the afternoon, the day or an extended stay, and enjoy all that the area has to offer, including countless special events and functions throughout the summer tourist season. Go for a swim, lounge on the white sand, sail around Point Abino Bay, fish or take in a cool drink on one of the areas many restaurant patios. For more information on Crystal Beach, local accommodations and dining options, beach rules and regulations, parking information and directions, please call 1-888-270-9151 or visit www.forteriecanada.com today. 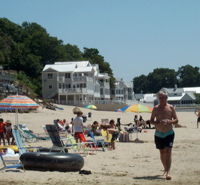 For a printable Crystal Beach information sheet, click HERE. 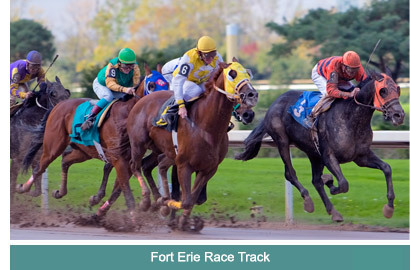 Home to the famous Prince of Wales Stakes, the second jewel in Canada’s Triple Crown, the Fort Erie Race Track has offered the excitement and pageantry of live thoroughbred racing since 1897. The Race Track is one of the most picturesque tracks in North America. From late May through mid-October, admire the thoroughbreds from the stands or more intimately in the Paddock area. Fort Erie and Niagara's newest and wildest tourism attraction. Offering more than 100 acres of parkland, Safari Niagara is home to some of the planet's most interesting and exotic animals. Enjoy a leisurely walk, or take the trolley through this mystical habitat of animals and modern art. The all day Safari Niagara experience offers you interactive educational displays, art exhibits, family fun area, children's playground, a splash pad, restaurant facilities, picnic area, walking path, rest areas, gift shop and a personal encounter with the world's most magnificent and exotic animals. Located at 2821 Stevensville Road in Stevensville, Safari Niagara is easily accessible from the Queen Elizabeth Way (via Sodom Road exit) and Highway 3 (via Stevensville Road. 402 Ridge Road, Ridgeway, Ontario. 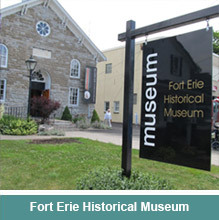 Discover the unique history and character of the places and people of Fort Erie through programs, research facilities, exhibits and gift shop. Currently featuring exhibits about the Fenian Raids, Community History, First Nations and Made in Fort Erie. Open 9 am - 5 pm. From September to May it is open Sunday – Friday and from June to August it is open daily. Admission is by donation. The Canadian National Steam Locomotive No. 6218 stands as the focal point at this location. Visitors can sit where the engineers once commanded this mighty 40804 Northern or explore the caboose, a “tiny house” which served as living quarters for the crew. 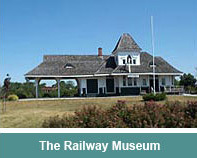 The Ridgeway Station has been transformed into an exhibition space. Serene in the present, it was once a whirlwind of tears and hugs, steam and whistles, children’s fantasies and real adventure. The gift shop in the B-1Station features railway related merchandise. Open 9 am to 5 pm daily from Victoria Day to Labour Day. Admission is by donation. Walk in the footsteps of those who fought here and lived through the Battle of Ridgeway on June 2, 1866. This outdoor exhibit details the local, national and international impact of the battle. Use the interactive timeline and map wall to follow the battle and its aftermath. 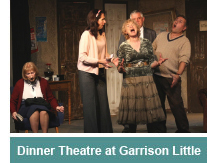 Visit the exterior of the Teal House to see a snapshot of life in Bertie Township. Pause at the memorial and cairn to honour the soldiers who fought and died protecting this land, in a battle which prompted the confederation of Canada. This outdoor site is open 7 days a week and admission is free. Mewinzha: A Journey Back in Time features archaeological artifacts recovered from the Peace Bridge Site alongside First Nations artwork. Uncover thousands of years of human history in Fort Erie. While here, please visit the exhibit The Bridge that Peace Built, located on the second floor. It traces the history of river crossings between Buffalo and Fort Erie and includes a viewing area of the bridge. Open 9 am to 4 pm Monday through Friday, except holidays. Admission is free. There's always something happening in Fort Erie! For a complete events listing for this month or to add an event to our calendar, click here. Get wet and wild in Fort Erie's Hot Spots! Fort Erie lies between Lake Erie and the Niagara River, offering 50 kilometers of water access. So if water fun is what you crave, look no further than the sandy shores of Fort Erie. Surrounded by miles and miles of sandy beaches and the clean, cool waters of Lake Erie and the Niagara River, Fort Erie is a water sports hotspot. Windsurf at Thunder Bay. Jet ski down the Niagara River. Fish in Lake Erie. Sail around Point Abino. 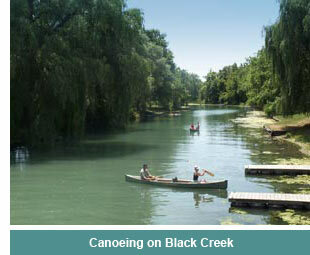 Kayak up Black Creek… or relax on one of the many fabulous beaches. Windsurfing enthusiasts in Greater Fort Erie refer to the area as "paradise". 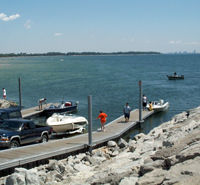 Long known as a mecca for water sports, Greater Fort Erie has been blessed with over 20 miles of waterfront. The prevailing southwesterly breezes and Lake Erie's relatively shallow depth create wind and wave patterns excellent for windsurfing and sailing. Sun, sand and water is not all that Fort Erie offers. Come on out and hit the links on one of the many outstanding golf courses located in the Fort Erie area. During the winter months, hockey and figure skating take over the ice at Fort Erie's renowned Leisureplex. Ice fishing, snowmobiling, and skiing at the nearby Western New York ski resorts is also a great way to beat the winter blahs. 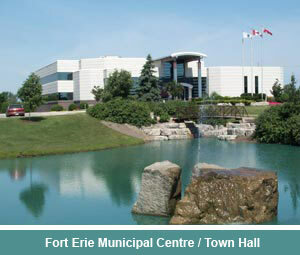 Fort Erie also boasts 25 municipally operated parks and the Niagara Peninsula Conservation Authority, with picnic facilities and nature trails. The Fort Erie Friendship Trail and the Niagara Parks Recreation Trail attract cyclists, joggers, walkers and in-line skaters. Motorized vehicles are prohibited. 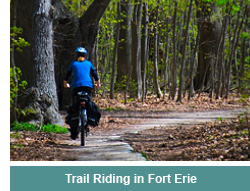 Discover the quiet side of Fort Erie by cycling or walking along the newly developed Fort Erie Friendship Trail. When completed, this trail will become part of the Greater Niagara Circle Route and the Trans Canada Trail System. This 13.6 kilometer scenic pathway is paved and safe for cycling and ideal for walking, jogging, and rollerblading. The trail ends at Historic Fort Erie where it meets up with the Niagara Parks Commission Recreation Trail. Fifty-six kilometers of paved trail runs parallel to the Niagara River from Historic Fort Erie to Niagara-on-the-Lake. The trail was designed, built and is now maintained by the Niagara Parks Commission. Developed in 1986, this 35 mile scenic pathway is connected by nine bridges and divides into 4 scenic sections, each with its own history, adventure and unique beauty. Cyclists can expect a one to two hour ride for each section. The trail is ideal for walking, jogging and rollerblading, too. For further information on the trail, please call 1-877-NIA PARK. The place to go for fun in Fort Erie! Plus all the latest amenities, services and technology necessary to complement any sporting event or group function. The Leisureplex is specifically designed to accommodate tournaments, hockey schools, pro and junior training camps, figure skating competitions, trade shows and conventions, sporting events, concerts and more. The Leisureplex is part of the Town's new Municipal Centre, which also includes Central Park, Town Hall, a new, modern, fully-equipped YMCA and on-site hotel. All this is only 15 minutes from Niagara Falls and an easy 5 minutes across the Niagara River from Buffalo, New York.